They almost certainly would have gone back to Q and then come out again later. One of the afternoon X68's is from Peckham. The VLA's are run from BN just like old times when there for the 159 lol. Indeed, stationed at BN. I usually see them parked up in the tram shed when it's open as I pass by on the bus. 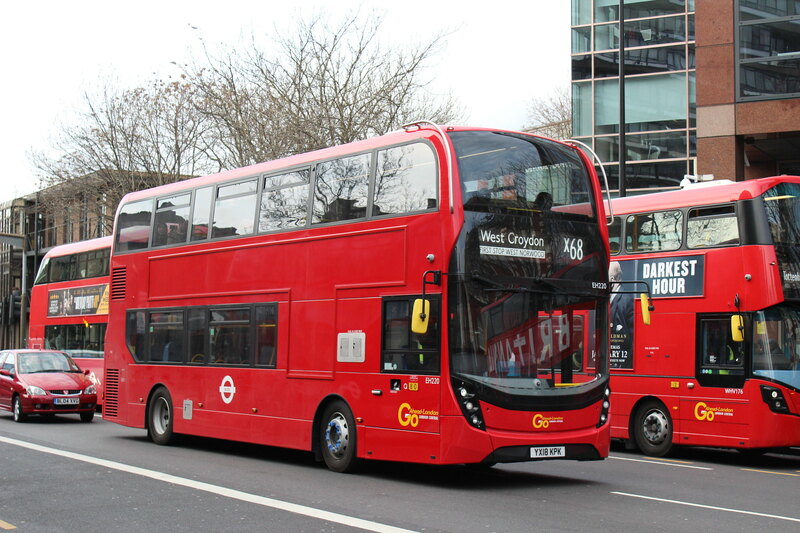 Took a trip to Brentford, Great West Quarter to take some photos of the 235 under Abellio. There was a route controller on the stand and a bus had an oil leak, he managed to get one of the estate guys to clean the whole bus stand road with one of those cleaning sweeper things! They were on first name terms so assume a good relationship? Also, the barrier got stuck at one point so a maintenance guy had to be called and it was resolved quickly. Anymore news on the plans to relocate the stop? Bumped into a guy I met taking photos of the 159 last December and a couple of other enthusiast were around. HV23 on 50 turned to Streatham Hill Station using the Brixton-bound route's 'Streatham Hill Station/Streatham Hill' as terminal point. 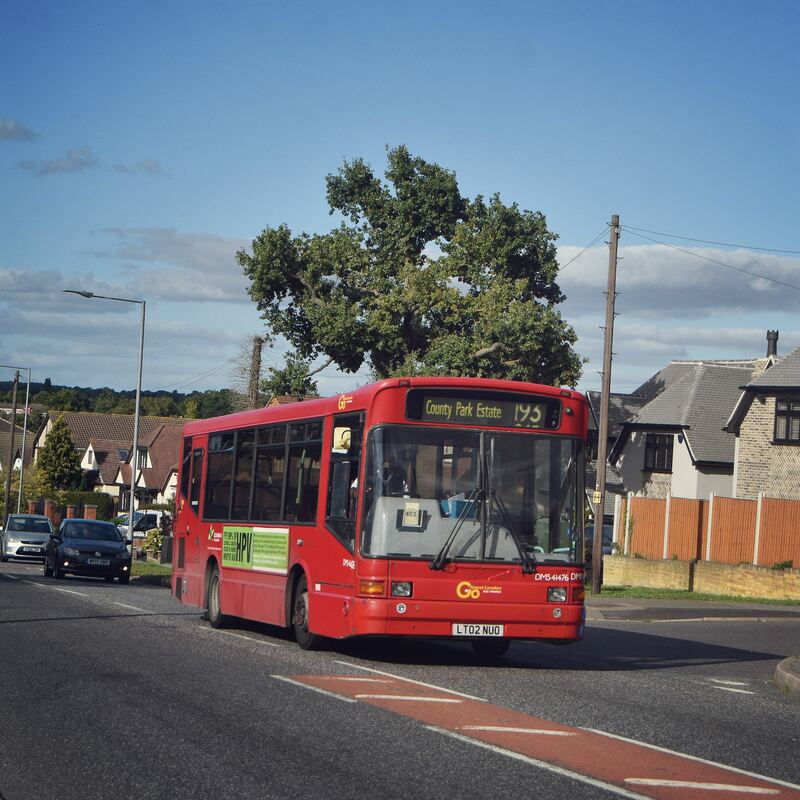 VW1050 - E8 to Brentford, Commerce Road. But it continued towards Hounslow! Maybe one of those that haven't been updated to allow the E8 to display Bell Corner? 101 on the 464 yet again, this time it stayed on longer then just the schools. 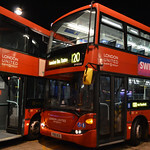 If the driver keeps the bus at New Addington and takes his break there instead of going to the depot then back up in a ferry bus, it will be out for the rest of the night. K1 to Malden Manor Stn.